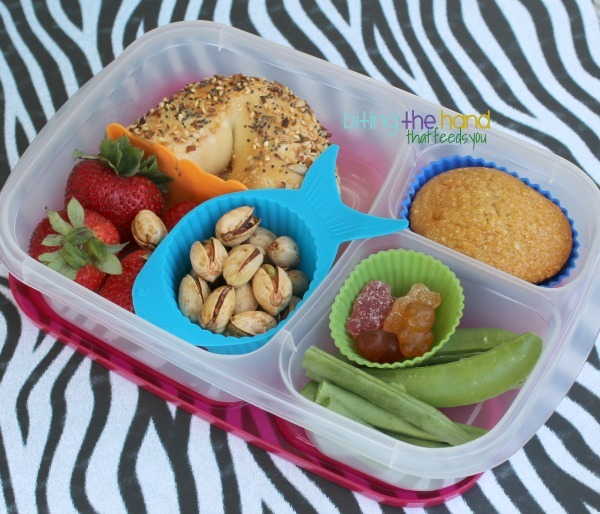 Biting The Hand That Feeds You: Easy Lunches for Everyone! Here are a bunch of random lunches from a while ago that got left behind for various reasons. 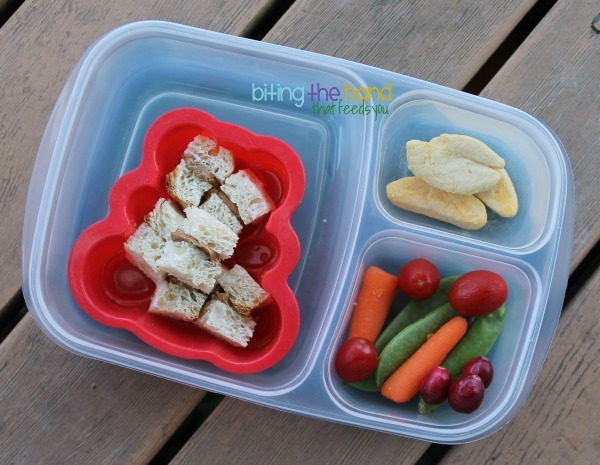 Some Mama lunches, some for my 5-year-old, and even one for the toddler! 3/1/13 - I had an avocado and tomato needing to get used up right away, and some cooked bacon in the fridge, so this lunch was a no-brainer! I used some simple food picks to help it stay together. This lunch was from a few months before I tried going dairy-free, so it has cheese. 8/9/13 - Over that summer, we tried Z out on a little gluten a day, to see if it made her sick. It didn't, that we noticed, but she started exhibiting behavioral issues we hadn't seen since before we'd gone gluten-free, so we decided to stay away from the stuff! But anyway, this lunch has half of a toasted gluten-y bagel, since I'd bought some for Hubby and this was the during the gluten re-trial. I used a silicone bear baran to separate it from the nuts and berries. Normally the girls get their vitamins in the morning or after school, depending on when the toddler notices the bottles and brings them to me. 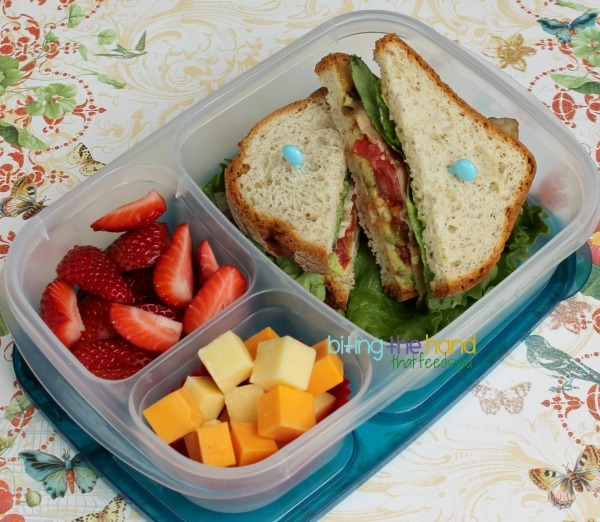 This time it was during school, so E got hers then, and I set Z's aside to pack in her lunch. 8/14/13 - The dairy-free garlic dip was left over from 4th of July, and crazy delicious! We buy these amazing garlic dip seasoning packet from a local street fair vendor, and you mix them yourself with cream cheese or sour cream or whatever. We used vegan cream cheese and sour cream. And it lasts wayyyy longer than dairy! 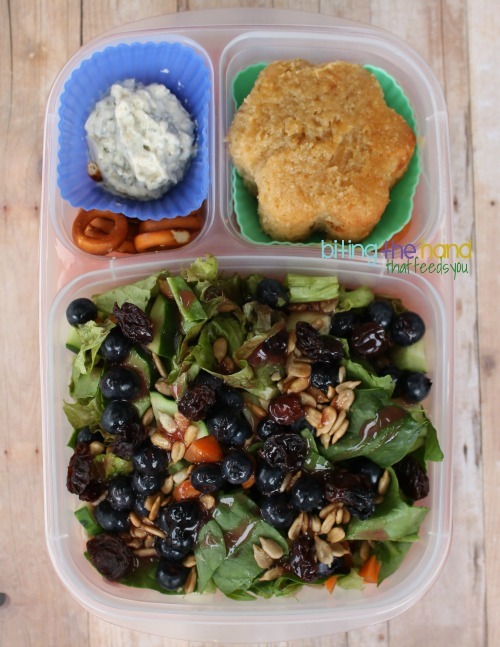 12/6/13 - Tried out a few new things in their lunches this day: fresh cranberries and freeze-dried mangoes. I love the freeze-dried fruits, even though they feel a bit creepy in my mouth. They're great for budding chewers, since they kind of dissolve in your mouth! So perfect for toddlers. 12/6/13 - Big sis got a similar lunch, kind of. 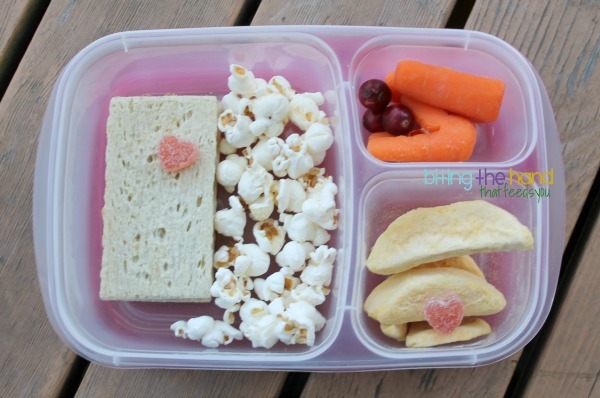 She got her peanut butter on these gluten-free wafer crackers instead of bread, with some popcorn to fill it out. The mangoes were a hit with the toddler, and she tried the cranberries. But Big Sis hated both. 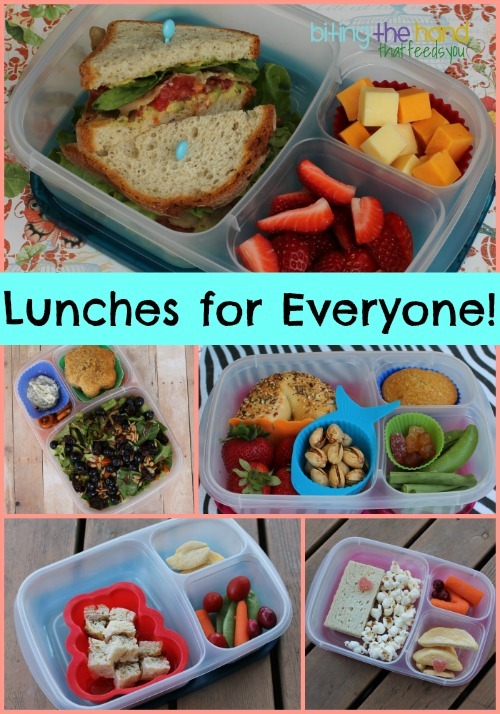 So many cute lunches! Your avocado BLT sammy is literally making my mouth water!